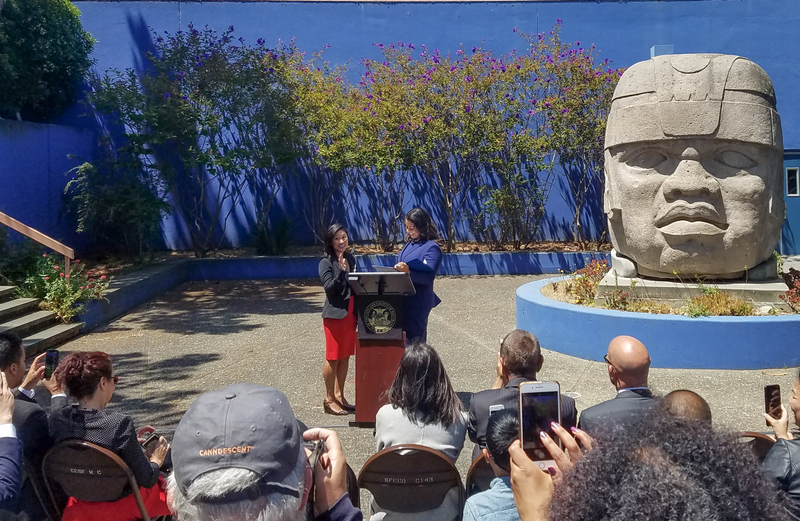 City College administrators, faculty and students as well as city officials gathered in the courtyard of the Diego Rivera Theatre on July 20 to support the appointment of Ivy Lee to the college’s board of trustees. 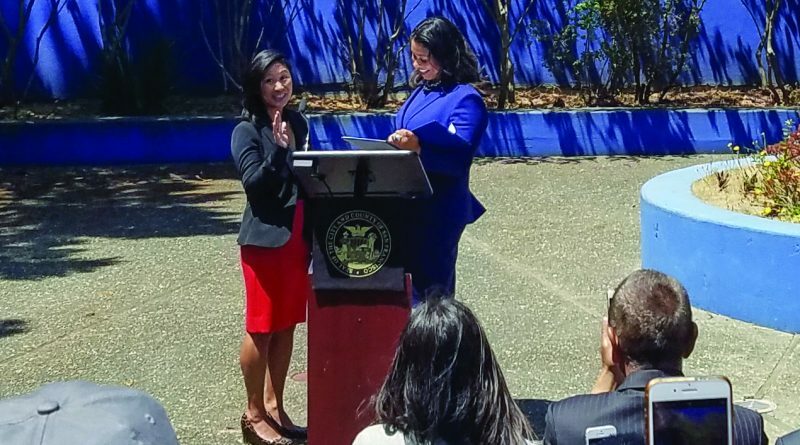 Lee, previously a legislative aide and the chief of staff to District 6 Supervisor Jane Kim, was appointed to the position by Mayor London Breed. The three minority female leaders — Breed, Kim and Lee — respectively took to the podium. “City College needs someone who’s a fighter — someone who’s going to take care of it for the long term,” Breed said. 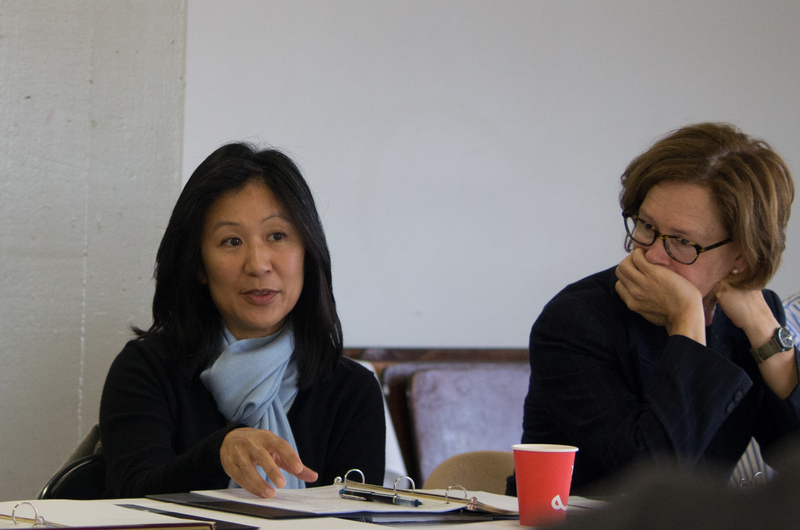 Lee is known by trustees and city officials as a key architect of the Free City program, which grants San Francisco residents free City College tuition. She filled the board position vacated over the summer by Trustee-turned-Supervisor Rafael Mandelman. “Not only has [Lee] led the efforts of Free City with Supervisor Kim, but she has pushed for a number of equity programs and things that matter in bridging the gap in many of our communities,” Breed said. Prior to working with Kim in 2013, Lee worked as a civil rights attorney directing the Immigrant Rights & Human Trafficking Project at Asian Pacific Islander Legal Outreach in San Francisco. For more than a decade, Lee defended and advanced the rights of survivors of human trafficking, domestic violence and sexual assault, according to a City College press release. She never lost a case, Kim said. As Kim’s chief of staff, Lee negotiated the Fair Chance Ordinance, which disallows some employers from requesting information about arrests or convictions on job applications. She also led negotiations for and drafted San Francisco’s minimum wage ordinance — the most progressive in the nation — which raised the minimum wage to $15 an hour on July 1. “Ivy has been my chief advisor and shield,” Kim said. “While she will state her loyalty to me, it has always been clear that she answers to no one but the community,” Kim said. Upon appointment to board, Lee expressed her gratitude to family, friends, colleagues and constituents. She credited San Diego Mesa College and Pasadena City College for allowing her to get her feet back on the ground when she initially hit a low point in college. The crowd held a standing ovation for Lee at the end of the appointment ceremony. “She’s not only very focused person, but she’s really a smart person too,” District 7 Supervisor Norman Yee told The Guardsman. He added that Lee would catch on very quickly to college issues she is not yet familiar with. Lee is set to serve the remainder of Mandelman’s term on the board until November 2019 election.